Upgraded T470 with an SSD but did it cause the laptop to be warmer? a. The 2 middle screws just keep rotating and it's impossible to tighten them. b. More importantly, I could feel that the laptop is slightly warm on the left side and in the back where the vents are. And not sure if those are normal as I had gotten the laptop yesterday and didn't play around with the stock HDD. Any insights would be greatly appreciated. Many thanks in advance! 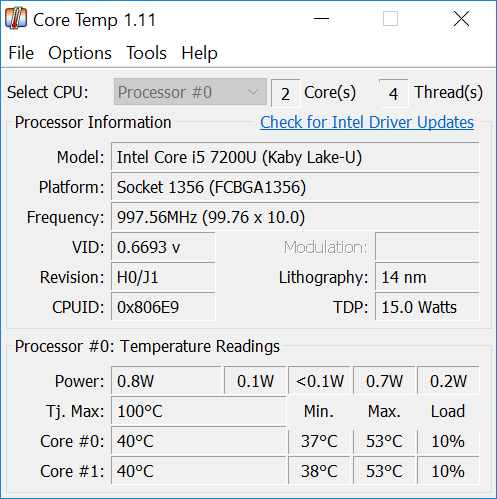 Re: Upgraded T470 with an SSD but did it cause the laptop to be warmer? With the HDD in my T470 the fan barely turned on and the laptop did not get warm. I can't speak for the 860, but I replaced the HDD with a Samsung 960, which is a much faster drive than what you have, and it runs at 33 to 40 at idle and 70 while doing intensive work / number crunching, with the fan at full speed, and the laptop warm on the left side. 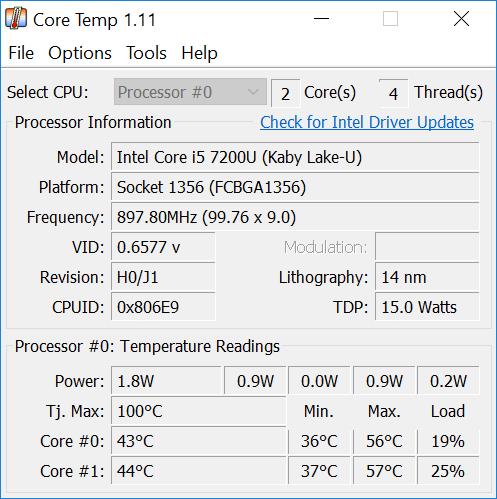 So, I expect the temps you are seeing are normal. It is interesting that the 860 EVO is slower than the 850 EVO. The temperatures look normal. Some drives do better on some tests and others do well on other tests. I have never noticed any speed differences among different SSDs when doing real work. SSDs are faster than spinning drives, especially on startup, where lots of small files are read quickly. That's about the only pattern that I see in real tasks. "It is interesting that the 860 EVO is slower than the 850 EVO." As mentioned above, in real life NVMe and SATA have no difference in speed. Many thanks for writing back, pjc123, Rich and otheos. Glad to know that the temperatures are not weird. Can you guys think of something that could be done regarding the middle screws not being able to be tightened properly? Yes, I'd also love to know if there is any data regarding the 860 EVO being slower than the 850 EVO as I would love to return the 860 EVO in a heartbeat in lieu of the beloved 850 EVO which has been running perfectly on 5 of our computers. Thank you so very much in advance, pjc123! I shouldn't have brought it up, it is a miniscule difference. Appreciate the quick response. That just made me rest a lot easier..
Now if I could find a way to screw in the middle screws, I'd be done and out of you guys' way. Out of all the upgrades that I have done so far, the T470 back cover has been the hardest to remove. Really wouldn't want to do it one more time. Just wondering what could potentially go wrong if I just let those screws be.. Obviously, they have the mechanism to make sure the screws don't fall off. Thoughts? PS: On a side note, the 16GB Crucial stick that I had gotten to upgrade hasn't reached me yet but the computer seems to be blazing fast with the 4GB stock RAM and the SSD. Planning to just let it be for now and return the hefty $183 RAM purchase.